Why can’t my KitchenAid mixer grind coffee? KitchenAid stand mixer attachments can do everything from peel an apple to sift flour, but they can’t grind coffee. They can grind meat. They can grind wheat. No coffee. Why don’t we have a KitchenAid coffee grinder attachment? Seems like the mixer and a coffee grinding attachment would be a perfect combination. And KitchenAid already makes a very nice standalone grinder. The current foodie boom — which began taking shape in the ’90s — laid the groundwork for a third wave coffee movement to find its footing in the early 2000s. The same elevating of food culture that made a $300 mixer palatable also helped people get to a place where dropping hundreds of dollars on coffee grinders and gooseneck kettles makes sense. It’s difficult to find a worthwhile burr coffee grinder for less than $150. 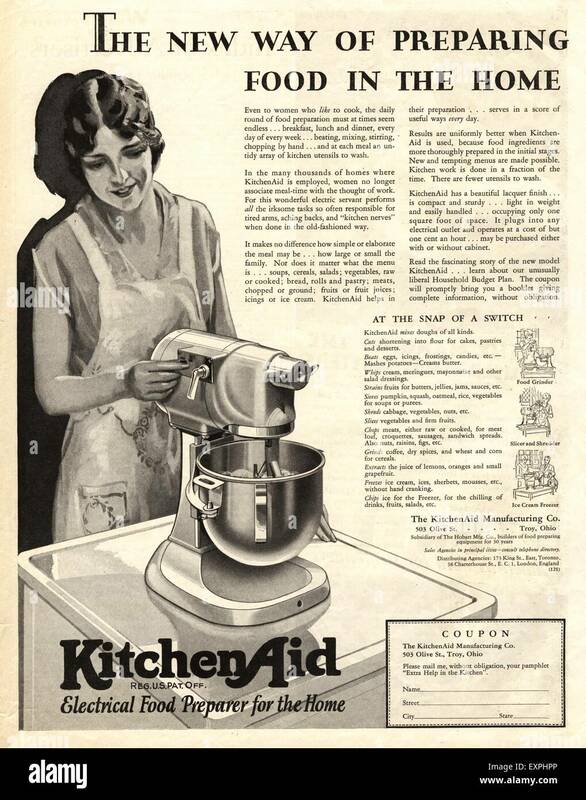 So why doesn’t KitchenAid apply the same formula they use for so many other powered appliances: Build a great attachment, outsource the power and electrical components to the mixer we already own, and give customers a $200 coffee grinding experience for less than $100? The interior of a burr grinder. I’ve been unable to find a photo of that grinder in action, however (send me a note if you have one!). And it’s entirely possible that the kind of grind quality we accepted back then isn’t nearly up to par with modern coffee nerd expectations. Although some industrious hackers have built their own versions using manual hand grinders. That gives me hope that it’s possible. So why no coffee grinder attachment? I can only guess, but here are my three theories. As much as home grinding might seem commonplace to food and coffee nerds, it’s worth remembering that most coffee is still sold pre-ground. I trust Whirlpool knows how to crunch the numbers on this kind of thing. Maybe the demand simply isn’t there. In fact, only about 8 percent of the coffee sold in the U.S. is whole bean, according to this 2015 Washington Post report. The coffee enthusiast is interested a lot of things. Convenience isn’t necessarily one of them. Maybe focus grouping and market research shows that coffee aficionados don’t want a cheaper, more convenient grinder. It’s completely possible. Maybe the nature of the coffee super fan is that they are specialists who want specialized tools, not all-in-one convenience. Just like a serious baker wants to splurge on the best stand mixer. So too does a barista with a great grinder. Perhaps the least satisfying, but entirely plausible explanation: Maybe the math just doesn’t work. I would assume the stand mixer motor is fast enough and torque-y enough to run a grinder. But then again, I’m not an engineer. There could be nuances to the engineering work involved that just don’t make this possible. Also worth noting, it could be technically possible, but just not up to KitchenAid’s quality standards. There are plenty of sub-par grinders available. And it’s clear KitchenAid wants their attachments to have the same quality and longevity as the mixer. Of course, maybe I’m wrong about all of this. And maybe the smart folks in Benton Harbor are hard at work on a grinder attachment as we speak. I sure hope that’s the case.